In this rare opportunity to see a film by little-known female Soviet film director Dinara Asanova, young boy Mukha dreams of being a rock musician. Everybody relates to him only as the younger brother of a famous basketball player, Mukhin. When he falls in love, over an eventful summer holiday, he hears music everywhere, in the rain, in the woodpecker’s rattle. He learns to assert himself. Woodpeckers Don’t Get Headaches uses Asanova’s trademark mix of actors and non-actors and is pierced through with her distinctive skill at depicting the discomfort of youth, clashes with adulthood and the struggle of establishing identity. 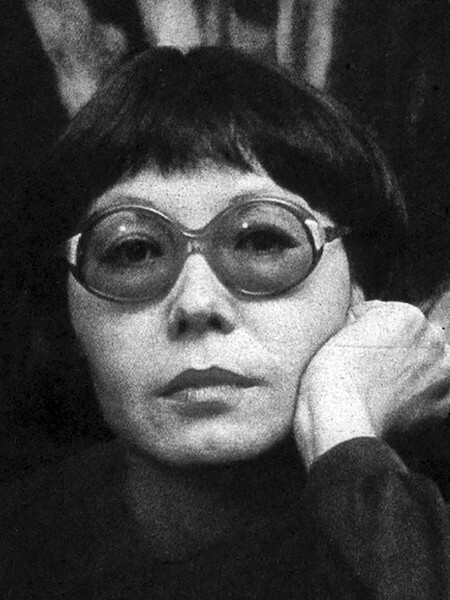 Dinara Asanova (24 October 1942 – 4 April 1985) was a Kyrgyzstani-Soviet film director. After working at Kyrgyzfilm from 1960 – 1962, she studied at VGIK, working with Larisa Shepitko while she was there and graduated in 1968. She directed ten films between 1969 and 1984. She joined the Lenfilm studio in 1974. Her films focused on such themes as social problems, social conditions and the tension between adolescents and adults. Asanova never had problems with Soviet censors despite the fact that her films featured such themes. Asanova, like a great many Soviet directors, mixed professional actors and non-actors for a professional, gritty effect. Asanova’s film Dear, Dearest, Beloved, Unique… was screened in the Un Certain Regard section at the 1985 Cannes Film Festival. Asanova died prematurely of a heart attack while working on the set of the film Neznakomaya (Unknown) in April 1985.